Never before has the race for Record of the Year been so wide open, and the fact that there are six nominees this year complicates matters even further. Taylor Swift and Kelly Clarkson would each be the favorite in this category if the other weren’t nominated. But since they’re both here, Swift will end up stealing a lot of votes from people who would otherwise have voted for Clarkson, and vice versa. 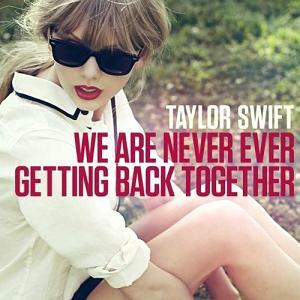 As a country artist, Swift should naturally have the entire country contingent within the Recording Academy behind her, but some country voters will be turned off by her blatant move towards pop music with “We Are Never Ever Getting Back Together,” and might instead go for Clarkson, who is loved by Academy voters. Because of that, I’m ruling out Swift and giving Clarkson a modest chance of victory. Similarly, Gotye and Fun. could cancel each other out as alt-leaning pop acts with huge early-year smash hits. “Somebody That I Used to Know” was incredibly successful, but it’s not as universally loved as “We Are Young,” so if either of these acts prevails, it will be Fun. As the only rock nominee, the Black Keys could easily win this award if the other nominees split the vote and rock voters all look in their direction. That’s what happened in 2011 when Arcade Fire shocked everyone by winning Album of the Year. Without a hip hop nominee, you have to wonder which candidate hip hop voters will go for. They might pick Frank Ocean, but that’s not a given, since he didn’t get a lot of support in the R&B categories. Ocean has drawn acclaim from many rock artists, so he could put together a tenuous coalition of pop, rock, and some R&B and hip hop voters. That could be enough to carry him to victory. With Ocean, Clarkson and Fun. all legitimate contenders (and the Black Keys a solid dark horse), this one is truly a toss up prediction. As the year’s most ubiquitous and catchy song, “We Are Young” is probably the odds-on-favorite by the slimmest of margins.